Mash tank in the brew house. The production areas were not only spotless, but the building interior painted and beautiful. 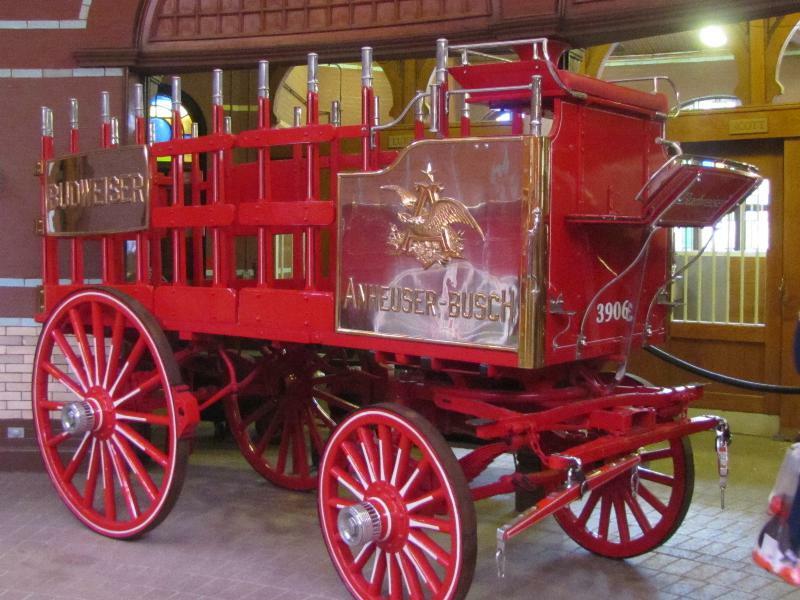 Just now Sher and I took the free tour of the Anheuser-Busch brewery, home of Budweiser beer. We were able to park in the designated tour parking lot. We had time to visit the welcome center and gift shop before our tour started after a short 20 minute wait. This tour is just amazing. Two tour guides narrated the tour with mic’s so you could easily hear. 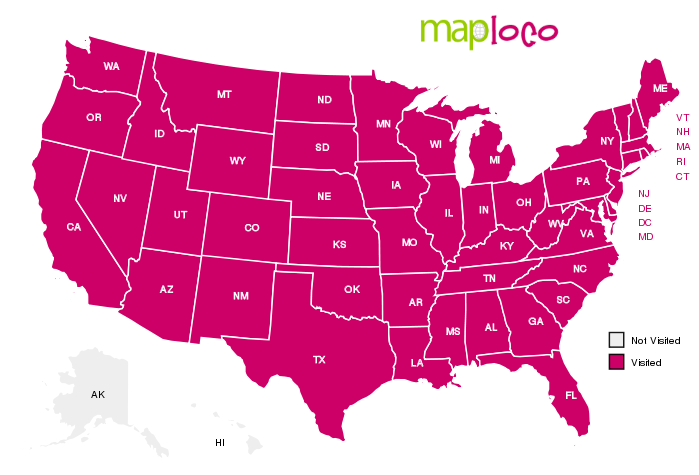 It takes about 50 minutes and does require a lot of walking. 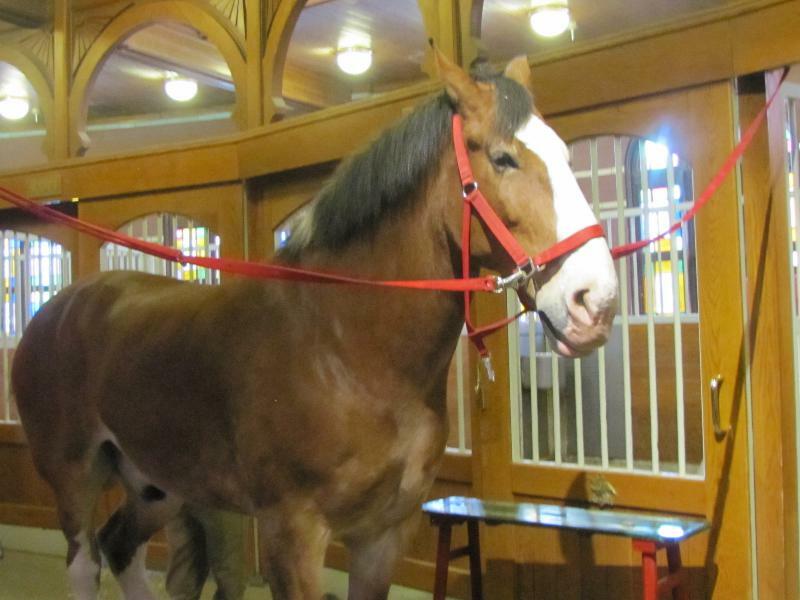 The first stop is the Budweiser Clydesdale stable. Talk about pampered animals! 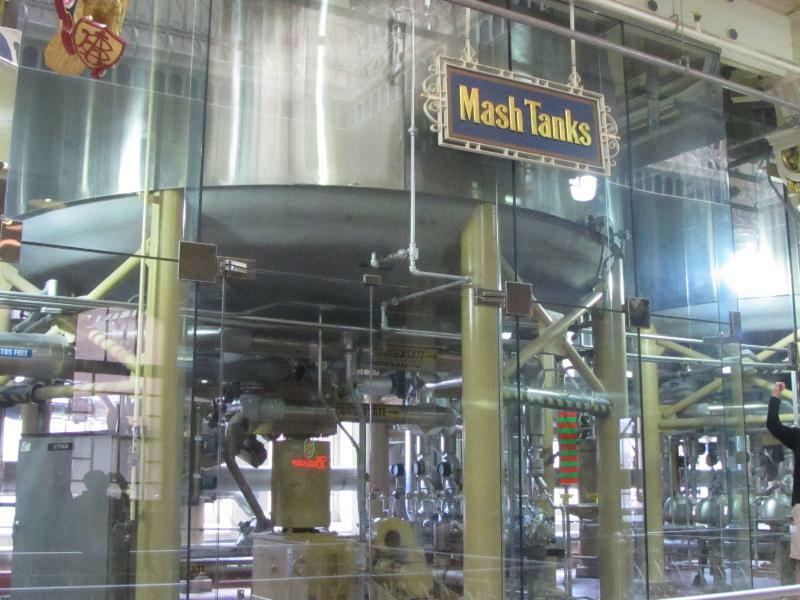 The tour will give you a concise history of the company and you see the actual brewing vats and learn the brewing procedures as well. It was striking how big the facility is and how much beer is brewed there each year. Hope you enjoy the pictures below! 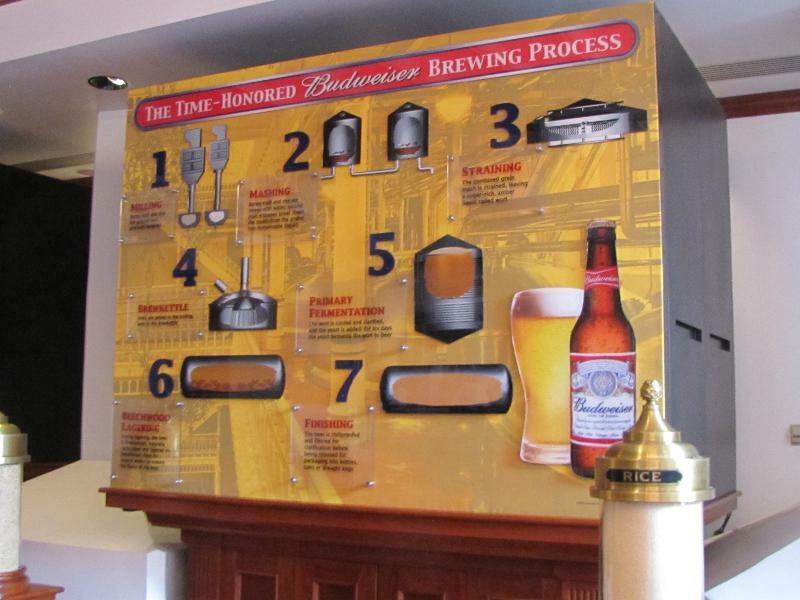 Storyboard of the brewing process. We got a sample of Bud Lite at this stop. Beechwood aging tanks, the last step before final filtering and packaging. 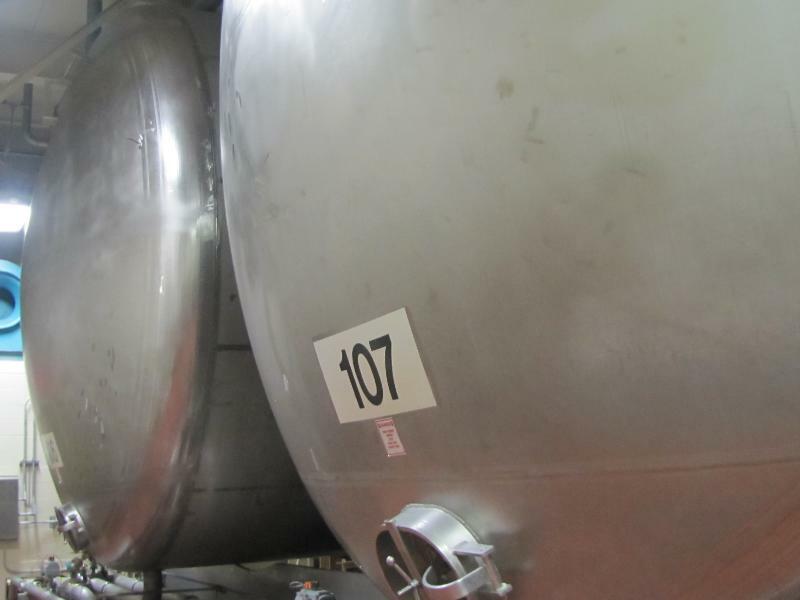 Each tank holds 3600 barrels of beer! 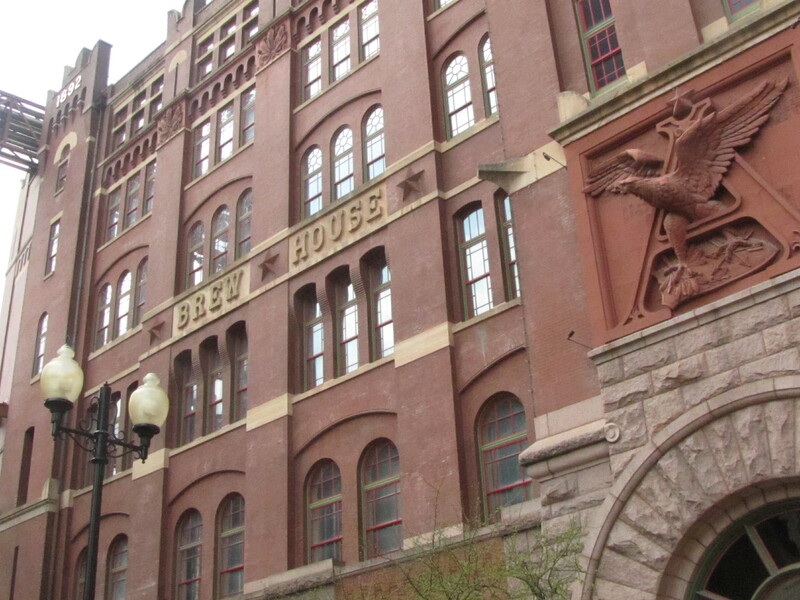 Exterior of the Brew House, built in 1891 – 1892.